Center for Health, Human Rights and Development (CEHURD) in partnership with the Open Society Justice Initiative organized an Africa Regional Strategy Meeting on Access to Information and the Right to Health. The meeting was held on October 12th – 14th, 2016 at Lake Victoria Serena Hotel, Entebbe – Uganda. The right of Access to Information is essential for improvement of governance, promotion of transparency and accountability and the use of information to ensure that other human rights are exercised. The concept that access to health information is key in protecting the right to health was the basis of the meeting. The meeting gathered health rights advocates from Malawi, Kenya Uganda, Zimbabwe Tanzania and Nigeria to share insights on Access to Information in their countries of origin. In Uganda, the right of Access to Information pursuant to Article 41 of the Constitution grants every citizen the right to access information in the possession of the state or any other state agency except when the release of information affects state sovereignty or interferes with privacy rights. Zeroing in on Access to Information (ATI) in the health sector, The Ministry of Health in Uganda has made progress in achieving ATI in Health. In 2011, the ministry introduced the DHIS-2 for online access of electronic health information. Although Uganda has made progress in implementing ATI in health, there are gaps hindering effective implementation of the law for example; the law is limited to public and not private institution, intimidation by the custodians of the information, weakness in the judicial system, lack of awareness about the Access To Information Act, poor attitudes and perceptions of public officials towards openness in sharing information. Such shortfalls have led to scanty or no information on issues to do with; organ theft (an increasingly common practise in health facilities), drug stock outs, drugs expiring and allocation of health resources among others; yet these are critical issues of public concern. To mitigate the inaccessibility of health information participants suggested the need for more awareness on the Access to Information Act at community level, effective implementation of the Access to Information Act, building coalitions and networks for information sharing. Through the meeting, the teams got opportunity to share best practises from countries that successfully applied ATI. She narrated, that in Uruguay, ATI was used to ensure that the Ministry of Education provided public schools with fire extinguishers, given that it was found that 94% of the public schools did not have these fire protection devices. Other strategies she mentioned included litigation and public demonstrations. Ms. Mariana called for the need to go through the information request process, putting in mind that one strategy that works in Uganda may not necessarily work in Zimbabwe and therefore a need to critically assess the environment is important. For countries like Kenya, being the newest country to pass the ATI law in August 2016, their representatives used the meeting as an opportunity to learn from countries that had the Access to Information law, way before them. With a few challenges they are facing like violation of human rights, and less media engagement, the Kenyan participants believe that they still have the opportunity to develop a road-map for implementation of the law. Some of the critical concepts participants went with at the end of the meeting included; proactive disclosure by the custodians of public information and the need to expand the ATI discourse to the private sector. 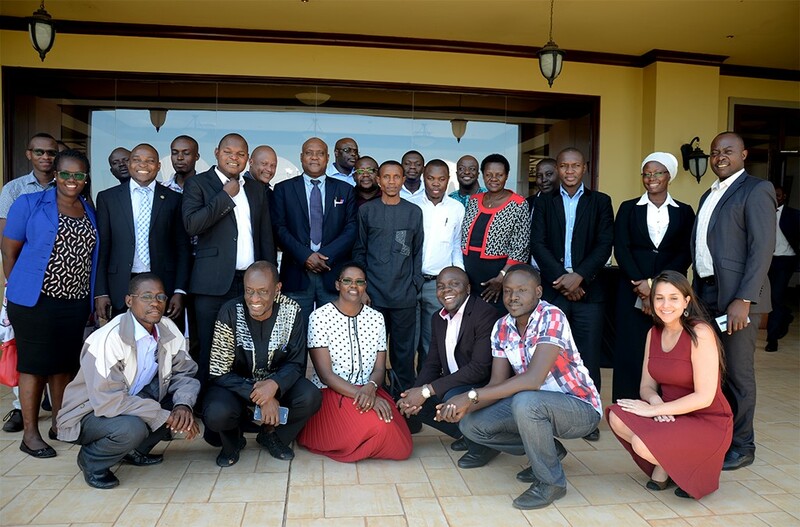 The meeting was closed by Dr. Mukooyo who in his remarks called for more partnerships with government for implementation of the Access to Information Act.